Gain access to official press releases and download Puppet’s official logos, icons, photos and more. Performer singer-songwriter, Brendan Baldwin (born December 10, 1993), known better as Puppet, has set himself apart in the music scene by creating a unique, raw style of music combining the high energy of EDM with the electrifying intensity of punk-pop music. Raised just north of Chicago in a suburban household dominated by rock and grunge music, he gained inspiration from his favorite rock bands and artists, including: The Story So Far, Jon Bellion, and Trophy Eyes. Taking note from his musical family and the rock acts of the 90s, he began honing the essentials of any worthy rock band- yet in suburban life, forming a band proved difficult. Baldwin found comfort in producing music independently on his computer and became quickly known for his original moody, and intense dance melodies. In 2012, Baldwin’s brain child, Puppet was born. Along with his music, Baldwin, is also known for his imaginative sense of humor showcased across his social media channels - a part of his personality innately intertwined into his brand and music. Since his early releases in 2012, Baldwin and his music have dramatically evolved, transforming into a unique combination of rock, pop-punk and EDM- an electrifying marriage of structure, instrumentation, live energy, and raw vocals. Quickly gaining traction in the industry, Puppet joined his first national tour in 2017 with Boulder-based electronic-rock trio, Savoy. He’s since created memorable collaborations with some of his friends, including Eden, Foria and Pierce Fulton, and has grown his appeal internationally, extending to the UK and Japan - where Baldwin notably seeks inspiration from his past experiences living in Tokyo. Apparent in his popular recent original tracks, Baldwin has strikingly blazed the trail for this modern pop-punk EDM movement. With his fans in full support, his most recent EP, Life Overseas- showcasing his new style, peaked at number four on the U.S. iTunes Dance Charts. After an intense year of discovery and transition, now based in Brooklyn, Baldwin is laser focused on his strategy for the future. 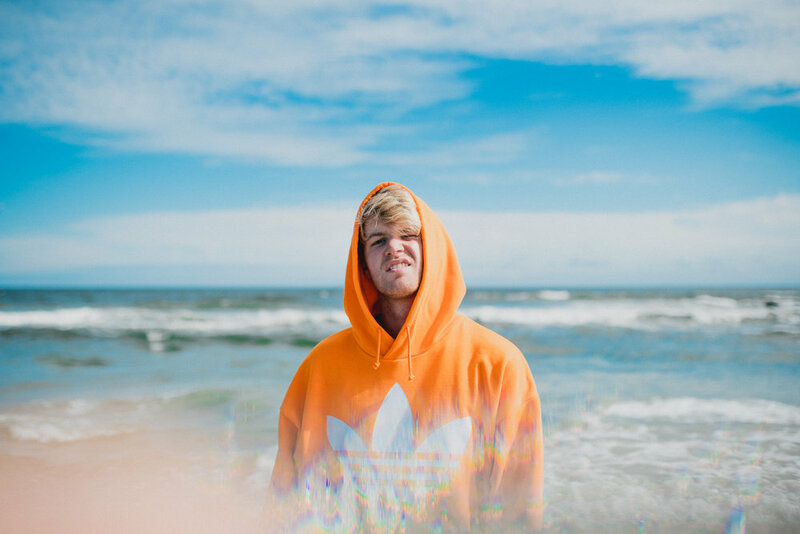 Exciting releases like his popular cover of “The Veldt” by deadmau5, is just the tip of the iceberg- he is currently working on his largest and most exciting EP release yet, with tentative international tour dates, expected in 2019. All logos, photos and likeness are sole proprietary information of Puppet Music, LLC. Licensed for use in press, media, show fliers and ad-mats. Click on thumbnails to download the full-resolution image. For use only in press and media materials. Live performance photos are NOT to be used in show flyers or ad-mats. Click on thumbnails to download the full-resolution image.